Author: John H. White, Jr. 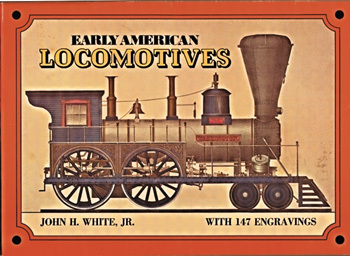 Produced and annotated by Smithsonian Institution Chairman John H. White, Jr., this assemblage of illustrations of early railroad locomotives documents the history of railroad engines from the beginning to the end of the Nineteenth Century. More than one hundred early engravings are arranged in chronological order and divided into four sections in this work, which includes informative commentary about the significant features and improvements of each engine. If you are a railroad enthusiast, you will love this book; and if you are not, you may well be by the time you finish.